Lexus has announced that it will show off the limited edition 2019 LC 500 Inspiration Series next week at the 2019 Chicago Auto Show. Lexus plans to only build 100 units of the limited edition LC 500, which will all be painted in Flare Yellow. 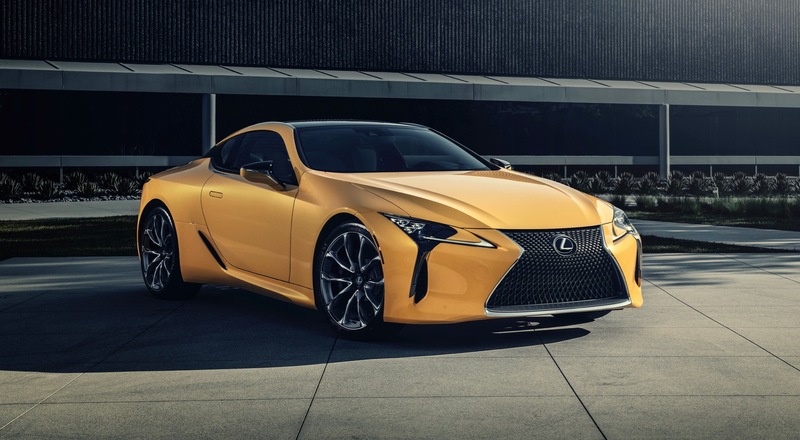 In addition to the unique yellow exterior, the 2019 LC 500 Inspiration Series also gets 21-inch wheels and a carbon fiber roof and lower grille insert. Inside there are Alcantara yellow door inserts and the seats are wrapped in semi-aniline leather with yellow stitching. The yellow stitching has also been applied to the instrument panel, console and glovebox. 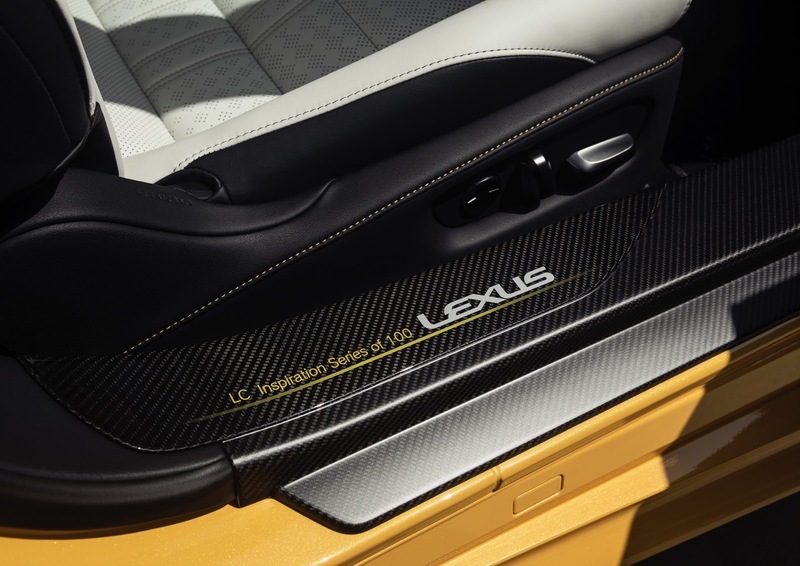 Since only 100 units will be built for the 2019 model year, an inscription on the carbon fiber door sills signifies that it’s part of the Inscription Series. Lexus is also throwing in a matching leather Lexus garment bag that folds into a travel bag. There aren’t any changes under the hood, since the LC Inspiration Series is powered by the same 471 horsepower 5.0L V8 as the standard LC 500 coupe. The LC 500 Inspiration Series can reach 60 mph in 4.4 seconds. The 2019 LC 500 Inspiration Series arrives in April starting at $106,210, plus the destination fees.